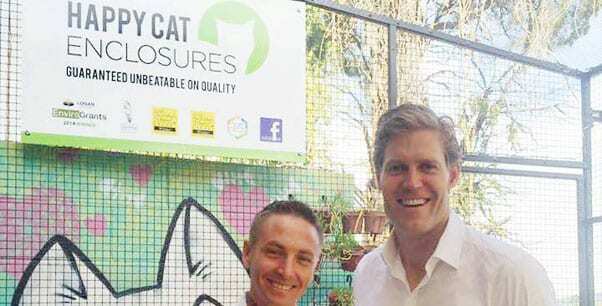 The Cat Cuddle Café, located in Red Hill Brisbane, is a good place to visit if you’re keen on viewing our metal designed enclosures. The café’s display enclosure also has our standard netted ceiling so you can get a good peek at the materials we use on our day-to-day private installations. This amazing café is run by the lovely owner of Brisbane based rescue Pussies Galore. Here you get to enjoy the laidback atmosphere of a café whilst being surrounded by beautiful rescue cats (which are all up for adoption). All money raised by the café goes towards Pussies Galore Rescue but bookings are a must!